100% Real Cowhide one piece full grain leather. 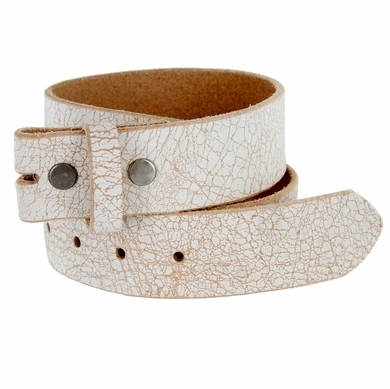 A Belt reminiscent of the 60's or 70's made out of one piece of thick real Cowhide. Vintage Full grain leather Belt Strap 1-1/2" Wide. Made with snaps for interchangeable buckles: Just snap off and snap on. Buckles sold separately.